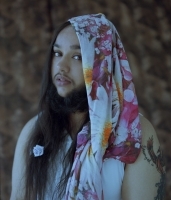 My name is Harnaam Kaur and I am a 24 year old British born Bearded Lady living in Slough. My beard is a side affect caused by a medical condition called Polycystic Ovaries Syndrome which I was diagnosed with at the tender age of 12. It is the hormonal imbalance caused by this medical condition which has led me to grow out my beautiful lady beard. Looking back to my early years I can say that I have always had facial hair, and because of it I was bullied tremendously. Many people have thrown horrid labels towards me all my life, and each and every label stuck to me and the words were embedded in my heart. I started believing the words that people threw towards me, and due to immense bullying I started to self harm my body and even became very depressed and suicidal. My life's journey has been a difficult one full of many emotions and hardships. I have now become body confident within myself and I love the way my body has naturally formed. I am a Body confidence activist who aims to portray a different kind of beauty for both men and women. We are continuously daily told what a good body should look like, and we forget that each and every one of us are actually already pretty amazing versions of ourselves. I aim to show the world that beauty comes in many different forms, shapes, sizes, colour and even ethnicities. 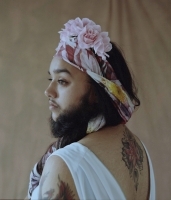 I love being a bearded lady, and I absolutely 100% love my lady beard. Forever remember the gems that are embedded in your soul and forever cherish the beauty that you hold within your heart.